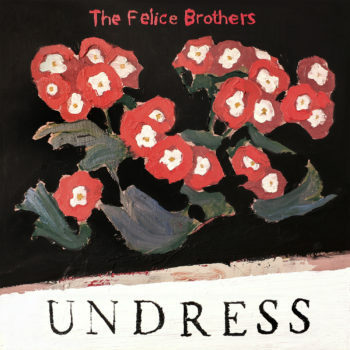 February 8, 2019: The Felice Brothers’ new album, their first in three years, is entitled Undress and is due for release via Yep Roc Records on May 3rd. The first taste from the album shares the same title and will be available on all services this Friday, February 8. Take a listen to the “Undress” single here. Pre-order Undress here. Ian and James Felice grew up in the Hudson valley of upstate NY. Self taught musicians, inspired as much by Hart Crane and Whitman as by Guthrie and Chuck Berry, they began in 2006 by playing subway platforms and sidewalks in NYC and have gone on to release nine albums of original songs and to tour extensively throughout the world. Following the release of Life in the Dark, The Felice Brothers served as the backing band for Conor Oberst’s 2017 release Salutations and the subsequent tour. The band kicks off a US tour starting on April 27 in Albany. Tickets go on sale on February 12 at www.thefelicebrothers.com.